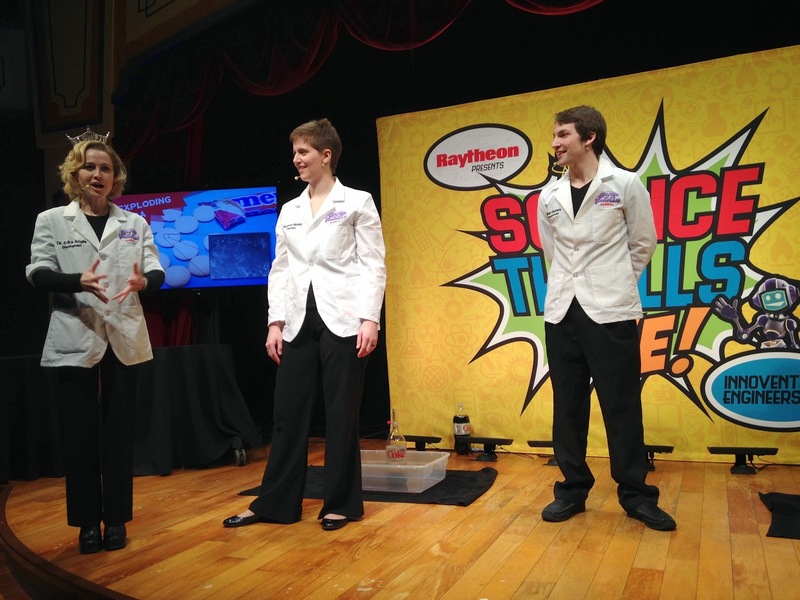 Until February 21st, biochemists, astrophysicists, and more are on hand to participate in science experiments and talk to guests during the Science Thrills Live presentation. 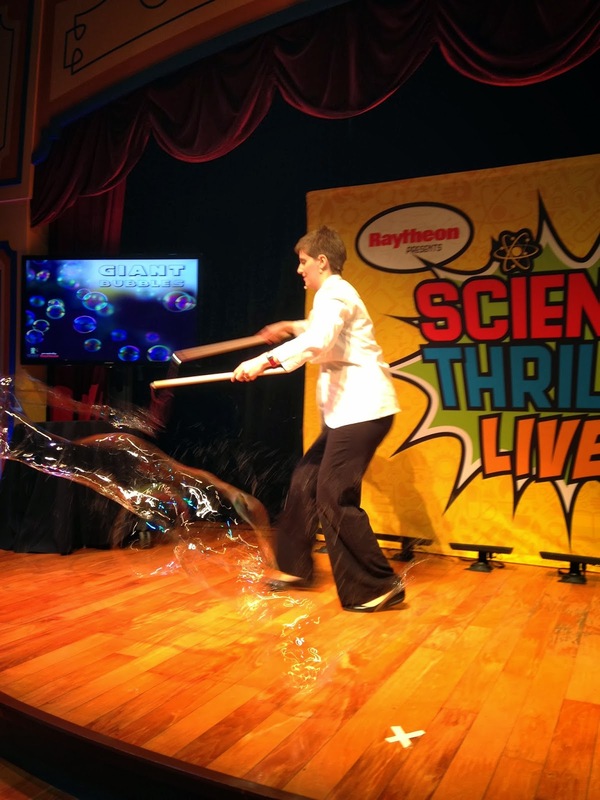 So what exactly is Science Thrills Live? 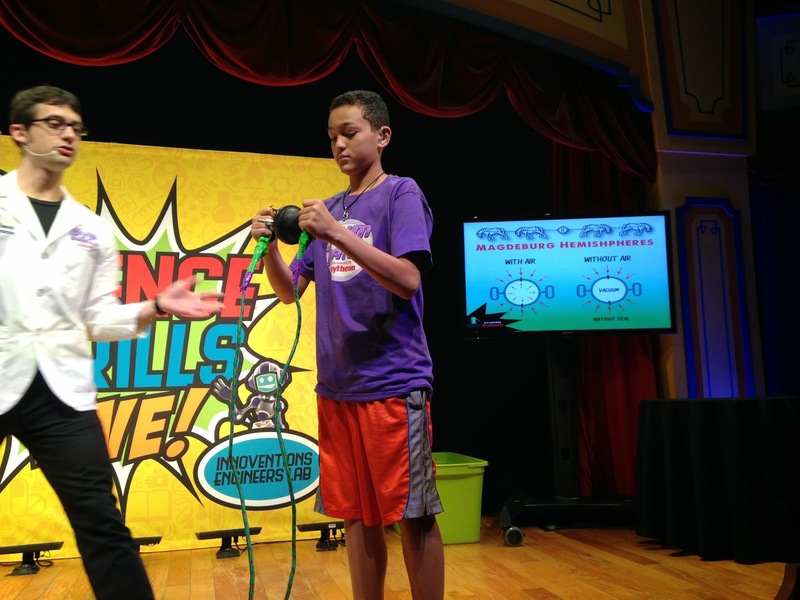 Well, it is a showcase of different science experiments that are designed to show that not only is science and math all around it, but it can be quite entertaining. 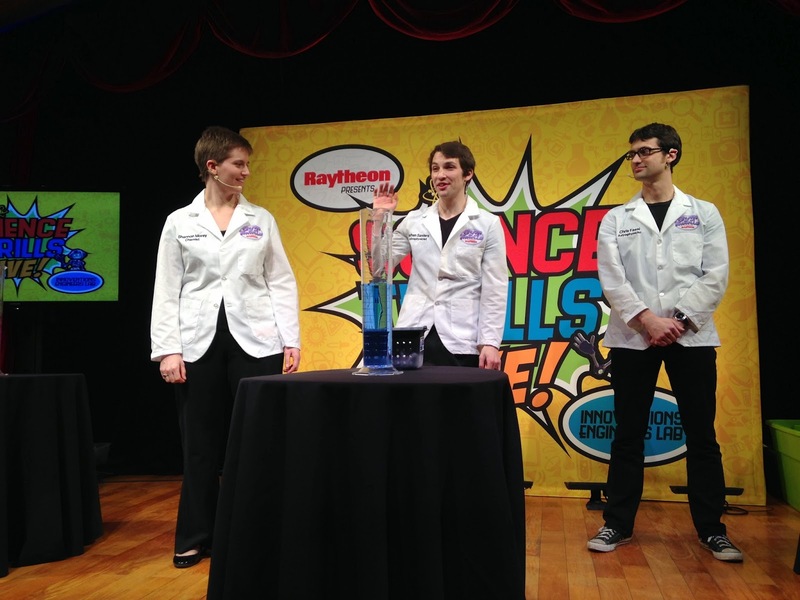 The show is a part of Raytheon's MathMovesU program. 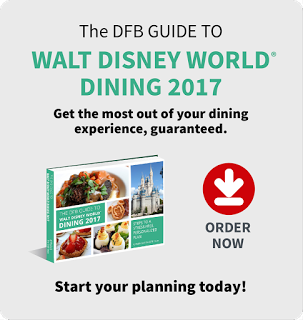 There are two ways that guests can participate and learn in a fun way. 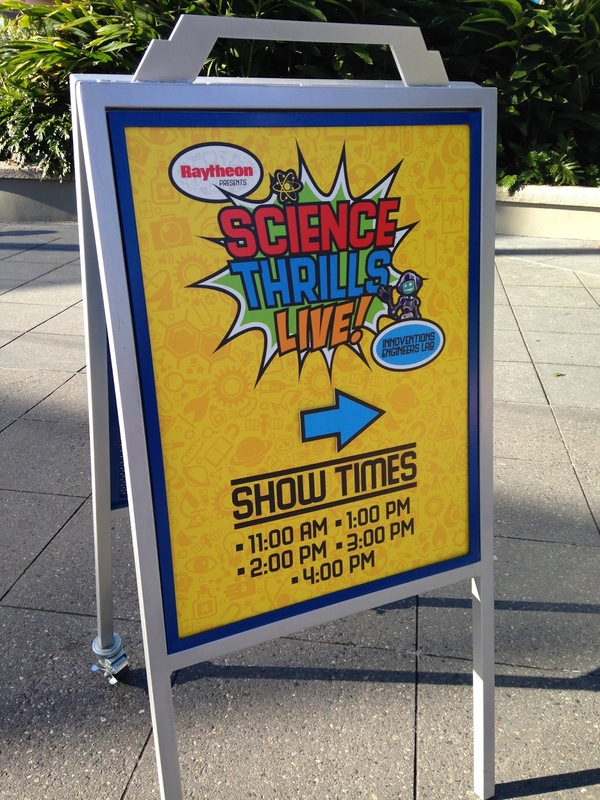 Outside the main theater, guests are invited to participate in science experiments, like penny polisher, making a film canister rocket, and more. 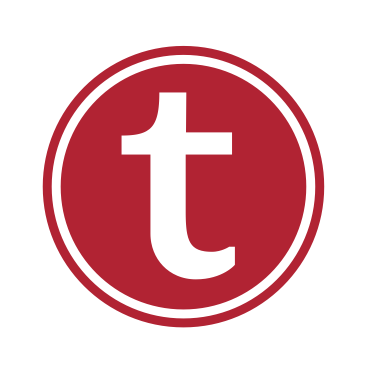 But the real unique portion of the event takes place during the show, which is scheduled for 11:00 am, 1:00 pm, 2:00 pm, 3:00 pm, and 4:00 pm. First, we were introduced to amazing scientists who would be taking us on our journey of discovery and knowledge! The first experiment that they showed us was one about acids and bases. It was so entertaining to watch. 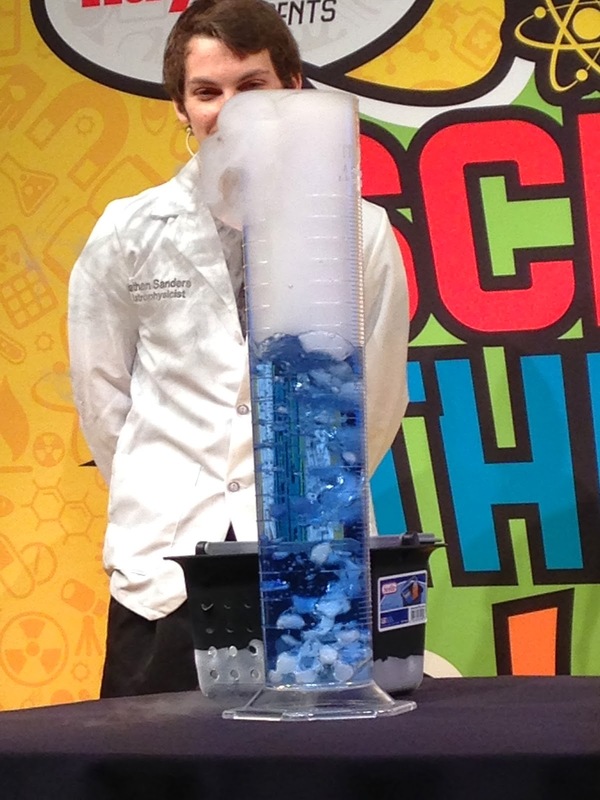 With this experiment, they took liquids, dropped dry ice in them, and we watched as the chemical reactions took place. Not only did they bubble, but they also changed color in front of our eyes! Next was an experiment showing how air really does have weight by guests participating in a tug of war. 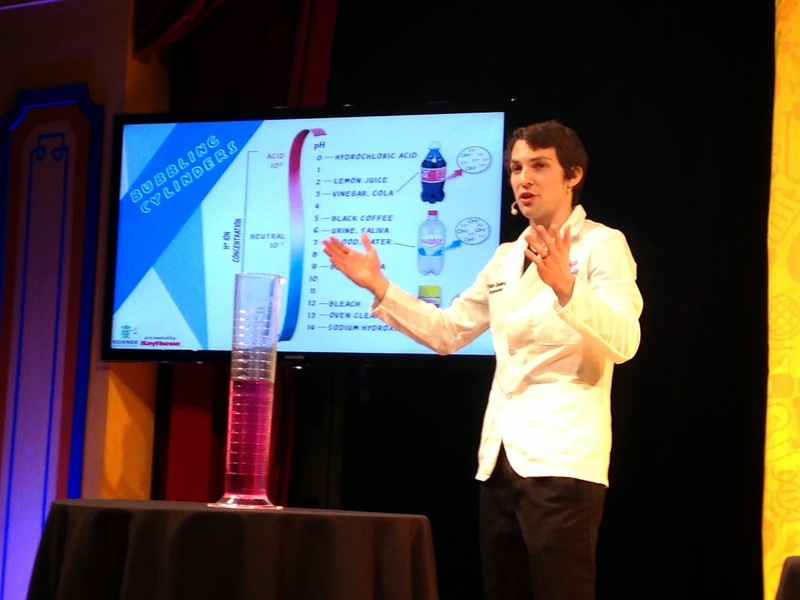 Finally, we learned about nucleation-triggered eruption, which in turns is basically erupting soda with Mentos. This experiment allows carbon dioxide bubbles to form in the divots found on the Mentos, creating the eruption! Here is a brief video of some of the experiments that I wanted to share with you guys! I got the chance to speak with Dr. Erica Ebbel Angle, a biochemist, who is certainly proof that anyone can learn with science. (She is a former Miss Massachusetts.) 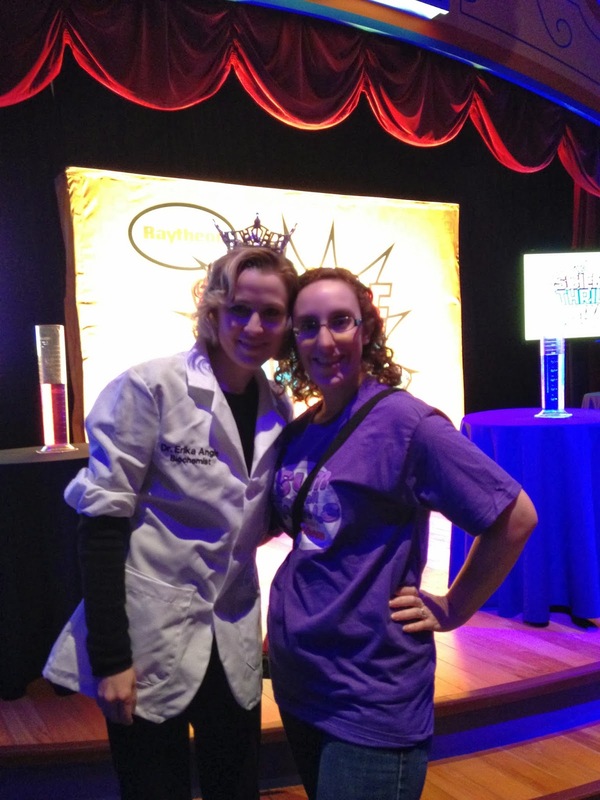 She passionately discussed the need for kids to understand that science is all around and that while you may not be interested in on type of science, there are plenty of other areas to choose from. There's not just one type of science, like many think. 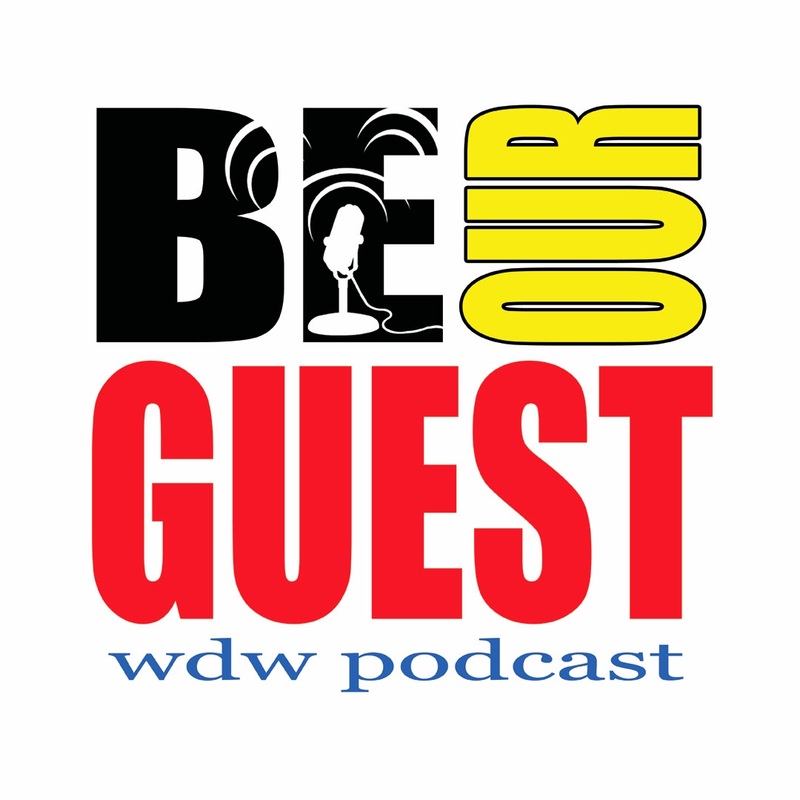 For the full interview, make sure to check up the upcoming Be Our Guest Podcast episode all about the event. If you couldn't make it to the show this week, that's ok! 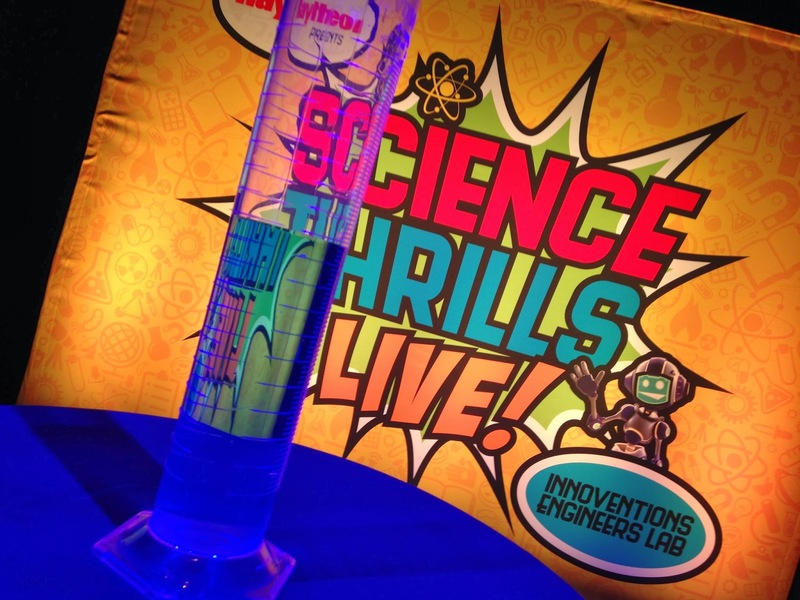 Check out these resources that could get you excited about engineering! 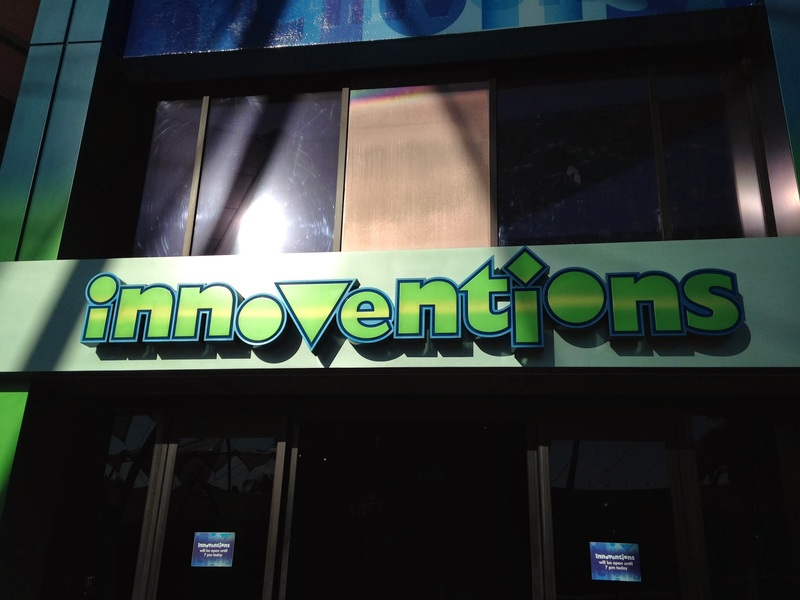 And next time you're down in Epcot, make sure to stop by Sum of All Thrills and learn how math can help you create an amazing thrill ride experience! In addition, for those of you who were unable to make it, I've got a giveaway for you! 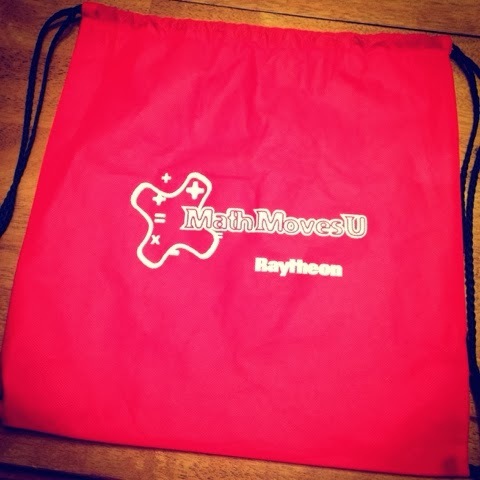 Guests were given a drawstring bag for participating in the event and I have an extra one with your name on it! 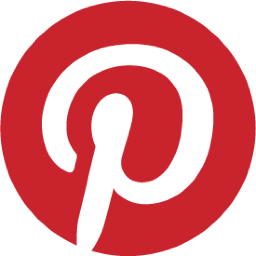 Just enter my Rafflecopter Giveaway and you too could win! I love this kind of demo. I am so jealous you got to see it. I wish they would bring more of this to epcot. 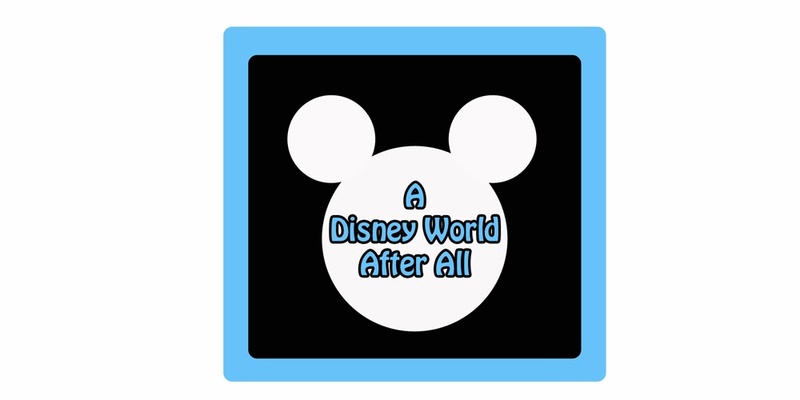 I wish they would have something like this all the time because science at Disney is the best kind of learning. 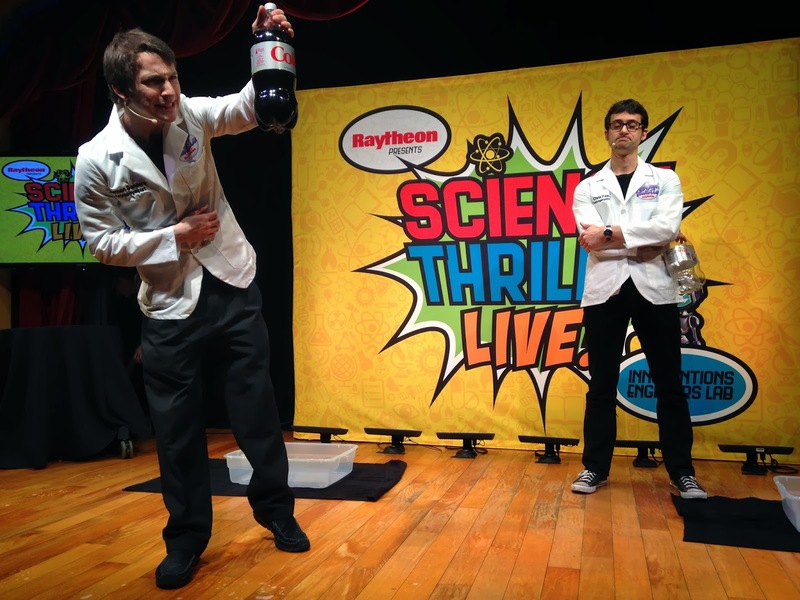 I probably would have like to see the acid/base experiment, but my kids would be voting to see the Diet Coke with Mentos. Nothing like good messy science! I absolutely agree. 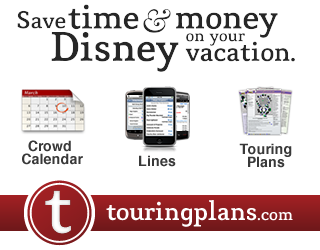 This is totally something that they should offer at Epcot all the time. It was so cool to get to experience. Watching kids get excited about math and science. 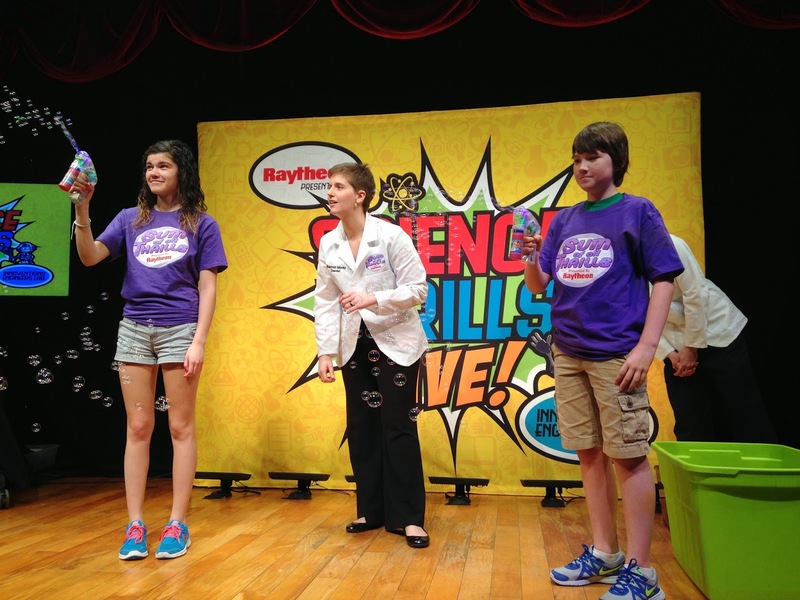 It was so reminiscent of the a Bill Nye the Science Guy experience. Something that kids aren't seeing on tv anymore, it would seem.